My hometown of Cleveland gets hammered on our weather reputation. Our winters aren’t really any worse than Chicago’s or Boston’s, but somehow we’re always the ones mentioned as being cold and snowy. 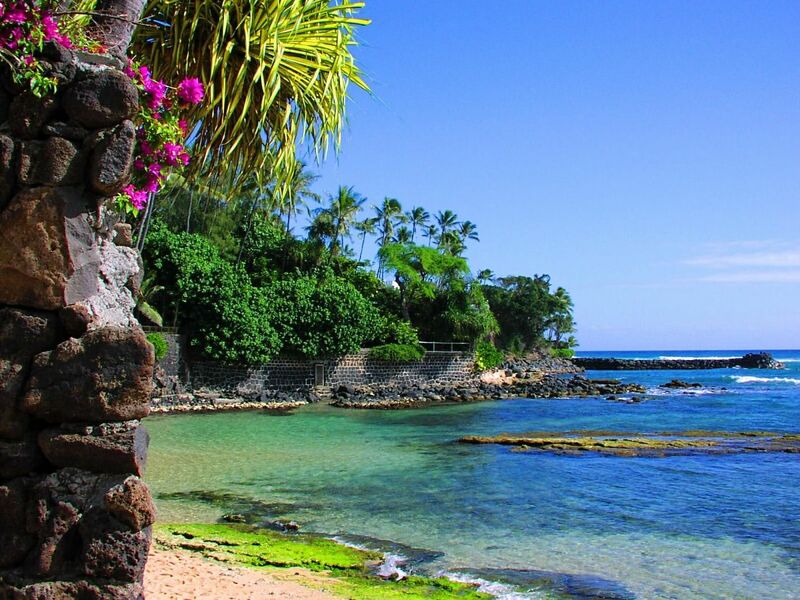 But that being said, I will admit that I tire of the snow and chilly air sometime soon after January 1st each year … and start to long for the sunny beaches of my favorite escape, Hawaii. Because we can’t afford to take that Kauai trip each and every winter, my partner and I decided to bring the tropics to Ohio, at least for one night. Enter the Winter Luau. Each January or February, we send out the invite to all our friends, with specific instructions that they’ve come to expect: Bring your hottest beach wear! The key to the party is that we turn up the thermostat in the house to a balmy 76°, so everyone arrives wearing their winter coats, but are then instructed to head upstairs and change into their swimwear or grass skirts. To further bring the vibe, I always order some real flower leis and have them FedEx-ed in (I recommend the Hawaiian Lei Company). It isn’t cheap, but you can get simple ones for around $10 each, and it really makes people’s faces light up when they arrive—totally worth it! For music, we have a playlist that has everything from Hawaiian favorites (Ho’onu’a has a great Beach Boys-like vibe) to Sade’s mellow “Paradise” to Sheryl Crow’s bouncy “Soak up the Sun.” People are encouraged to bring snacks or desserts, but we challenge them to make everything tropical themed. They always deliver! There’s always a huge selection of pineapple and fresh fruit, and of course my fancy frozen drink machine always finds its way out of the basement for the event. The last two years, we’ve had the great timing to hold the luau during big blizzards—but we’re blissfully happy inside, drinking and pretending that Poipu Beach or Diamond Head are almost within arm’s reach.